05.08.15 :: Categories: Get Involved. 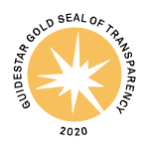 Tags: Cleanup, Dana Gulley, invasive plants, John McEnroe, Randall’s Island, riverkeeper sweep, Riverkeeper Sweep 2015, shoreline cleanup, and sweep. News Types: Press Releases. John McEnroe is joined by Riverkeeper's Dana Gulley in clearing the shoreline of Randall's Island of invasive plants and trash. NEW YORK CITY – Tennis legend John McEnroe kicked off Riverkeeper’s 4th Annual Sweep of the Hudson River and its tributaries with a Friday event on Randall’s Island. McEnroe was joined by dozens of volunteers who cleared trash and removed invasive plants from Randall’s Island Park. McEnroe, a Riverkeeper Board Member, runs the neighboring John McEnroe Tennis Academy. He remembers how polluted and unpleasant Randall’s Island once was. McEnroe envisions the Hudson River worthy of swimming. “As a kid living in Queens and going to school in Manhattan, it was something that seemed like a fantasy. I think we’re going in that direction and getting closer and closer to that goal,” he said. “Randall’s Island is an inspiring example of what we can all do to make our shorelines cleaner and healthier,” said Dana Gulley, Riverkeeper’s Manager of Strategic Partnerships, Outreach and Volunteer Programs. Wildlife habitat is re-emerging in the shadow of the Robert F. Kennedy (Triborough) Bridge, thanks to the management of 20 acres of restored natural areas. The island is home to 148 species of birds. Peregrine falcons nest above the saltwater marsh, and oysters, blue crab and mummichog inhabit the marsh itself. Friday’s volunteers cleared invasive plants and litter from Little Hell Gate Saltwater Marsh, a rare, 5-acre habitat on the Harlem River; an urban forest (and former Christmas tree dump site) up the slope from the marsh, and the Little Hell Gate Freshwater Wetland, which helps filter stormwater runoff from the island’s playing fields. Volunteers today were from Sprout Watches, Waterkeeper, Insurance Industry Charitable Foundation, Johnny Mac Tennis Project, Randall’s Island Park Alliance and Cambria Heights School. On Saturday, May 9, the Sweep will commence in full. 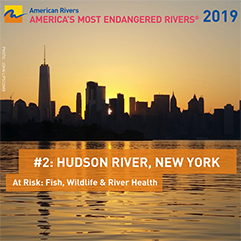 There are more than 100 Sweep sites along the Hudson and its tributaries, and some 1,500 volunteers are expected to participate. The event aims to improve the health of the waterways and promote stewardship over the shorelines. In the first three years of the Sweep, volunteers removed more than 75 tons of trash, planted or maintained hundreds of shoreline trees, and performed other service projects to improve public access to the Hudson River and its tributaries. Schools, scout troops, businesses and community groups help organize the cleanups in partnership with Riverkeeper. The Sweep is the signature New York event in the Waterkeeper Alliance SPLASH Series, presented by Toyota and designed to connect people to their waterways. Other sponsors include the Insurance Industry Charitable Foundation, Rocket Fuel, Ironshore, EILEEN FISHER, Paragon Sports, Sprout Watches, VOS Selections, JSA Financial, Orvis, the Johnny Mac Tennis Project, Pleasant Valley Stone and these individuals: Joe and Daryl Boren, and John and Gillett Gilbert. 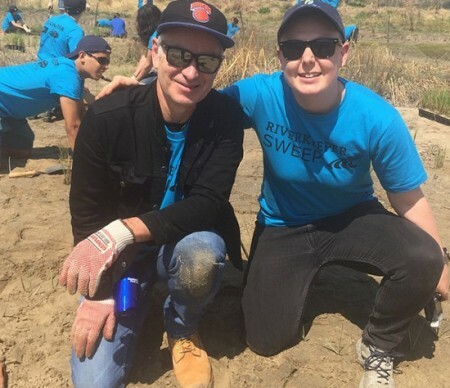 PHOTO CAPTION: John McEnroe is joined by Riverkeeper’s Dana Gulley in clearing the shoreline of Randall’s Island of invasive plants and trash.